In the twenty months since the Baker’s Dozen, I’ve realized that what I appreciate most about Trey is that his leadership is grounded in loyalty more than ego. As much as I love, say, Bruce Springsteen, his singular vision is what drives the E Street Band. Trey isn’t like that – his loyalty to Phish and to the audience is what drives his music. 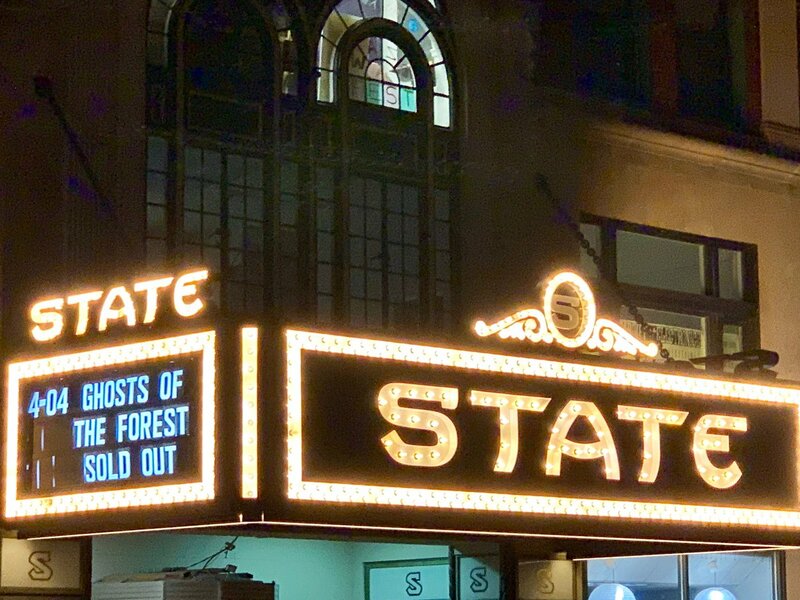 This time, even when we’re under the banner of Trey Anastasio’s Ghosts of the Forest and it is clearly a singular vision running the show, loyalty is still at the center of the evening. His loyalty to his friend Chris, as he detailed in heart-wrenching detail in a recent Rolling Stone interview, is what led to Ghosts of the Forest. And our loyalty to Trey is what led us to drive all the way up to Maine to see a band that, until 8:15pm last night, didn’t yet exist. Funky: Well, n00b, Gordo tour is done. March Madness has left most of us in ruin. And the phish.net forum is cannibalizing itself, wondering just when those West Coast dates are going to be announced ::refreshes forum… clenches fists:: Apparently not today, but some dude thinks tomorrow. I’m rolling with that guy. With Phish, like you, I, that guy, and Smooth Jimmy Apollo all know, when you're right 52% of the time, you're wrong 48% of the time!